Most websites today that are more than a few pages and which need to be updated with any kind of regularity are built upon a CMS or Content Management System. A CMS may be the right choice for your web design and development needs, but with so many software solutions available today, choosing the right one to suit those needs can seem to be a daunting task. In this article, we will look at some of the things you should consider when making this choice. A first step in determining which CMS is right for your projects is understanding how much technical know-how you will need to work with that software. If you have years of experience with web design and are fluent in HTML and CSS, a solution that gives you total control over the code of a website may be an attractive solution for you. Platforms like ExpressionEngine or Drupal would fit these requirements. If you have absolutely no understanding of website coding and want a system that handles that code for you, but still allows you to design fully custom websites, a solution like Webydo and their code-free development platform may be the best fit. If you want some flexibility in how a solution will allow you to work, then Wordpress may be the right choice to fill your needs. Very little technical knowledge is required to select an existing theme to get started with this platform, but if you do want to get deeper into the code and fully customize a site, Wordpress gives you that ability as well. These are just a few examples of different CMS platforms and the level of technical knowledge that is needed to utilize them effectively. Whether you choose one of these platforms or decide that another solution is best for you, understanding how much or how little technical experience is needed will be an important factor in which choice makes the most sense for your project. Another useful aspect of CMS platforms are the features that many of these solutions either come with "out of the box" or which can be added through the addition of a plugin or add-on. If you have specific features that are important on your site, you will want to ensure that any CMS you choose will include those features. For instance, if your site needs to include E-commerce capabilities, you will want to find a solution that allows for this. If that feature is critical to your site’s success, you may even want to begin your search by looking for platforms that are centered on that specific need or feature. Once you begin using a CMS, it is a chore to move the site to another one, so you unless something goes incredibly wrong with your site and the CMS you are using, you are likely going to be with what platform you initially select for a good long while. This means that the community of other professionals and companies that also utilize that platform will be important to you, as will the support that is offered by that community or by the software company that actually makes the CMS. When considering these points, look for a company that stands beside the product that they have created. 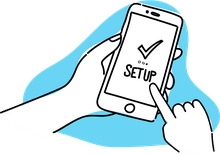 Also look for support options that will allow you to get any questions you may have answered, especially as you first begin using the new platform. Finally, seek out a healthy, robust community that uses the product so you can become a part of that community. There is a wide variety of pricing options for CMS solutions. Some platforms are free while others require a purchase. Other software solutions require a subscription to use, but which also come with other benefits, like website hosting or automatic upgrades of the software. Pricing should not be the most important consideration for you to look at, but it will absolutely factor into whatever decision you make. Additionally, if you are reviewing CMS options as part of a site you are building for a client, the price you pay for the CMS will also impact how much that website costs for your clients. Just like you would ask for references on an employee you intend to hire, it makes sense to speak to other web professionals about their experiences with the CMS. Look for professionals whose skills are similar to your own to get an understanding of how they use the solution and what pitfalls you should avoid. This information will help prepare you and let you know what to expect if you decide to move forward with that CMS choice. When evaluating CMS platforms, there are a number of additional factors that may influence your eventual decision. Every project will be different, but the points covered in this article should help you quickly narrow down the seemingly daunting number of choices to a select group of solutions that will fit your specific needs.